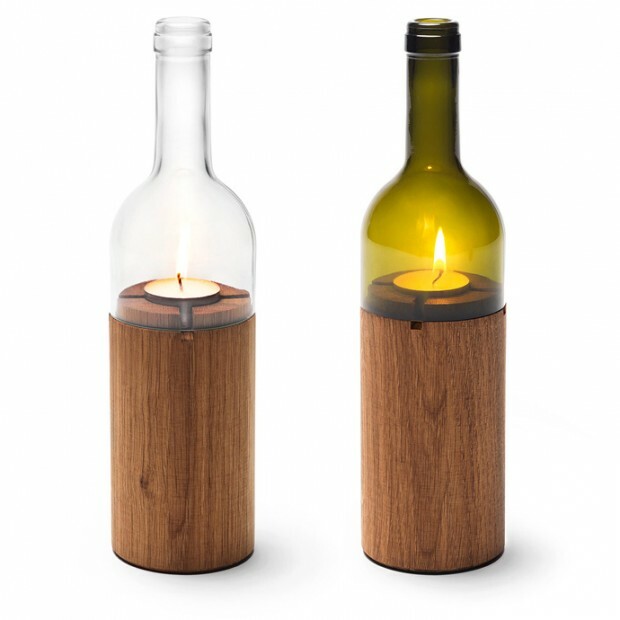 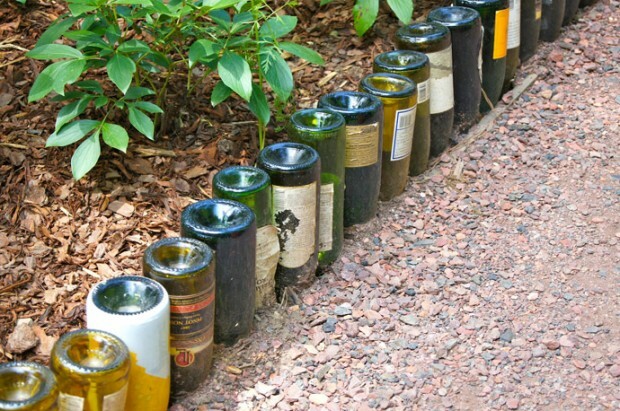 You’re a big wine drinker and have plenty of leftover wine bottles? 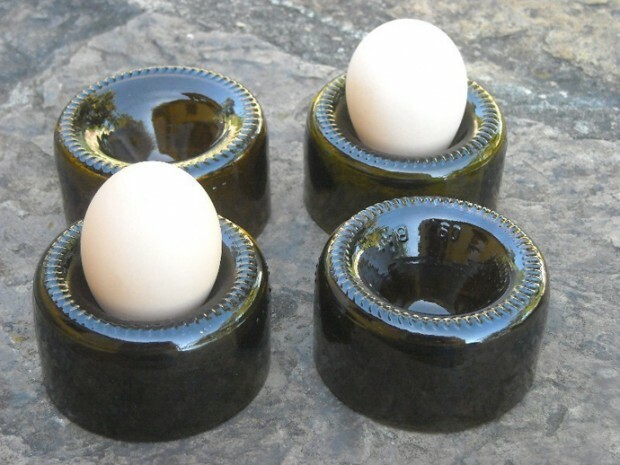 What do you do with them? 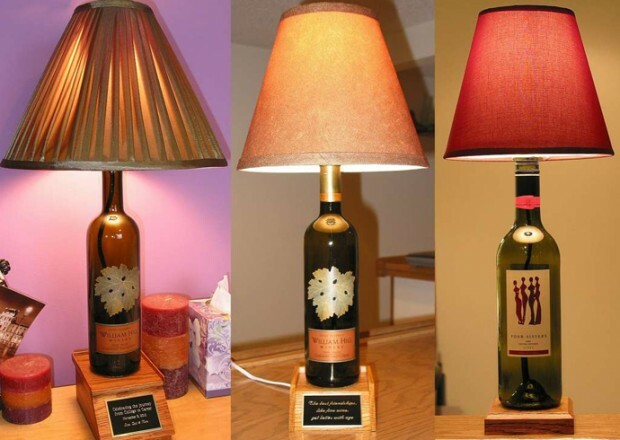 Do you put them in a recycle bin and let them disappear in a furnace? 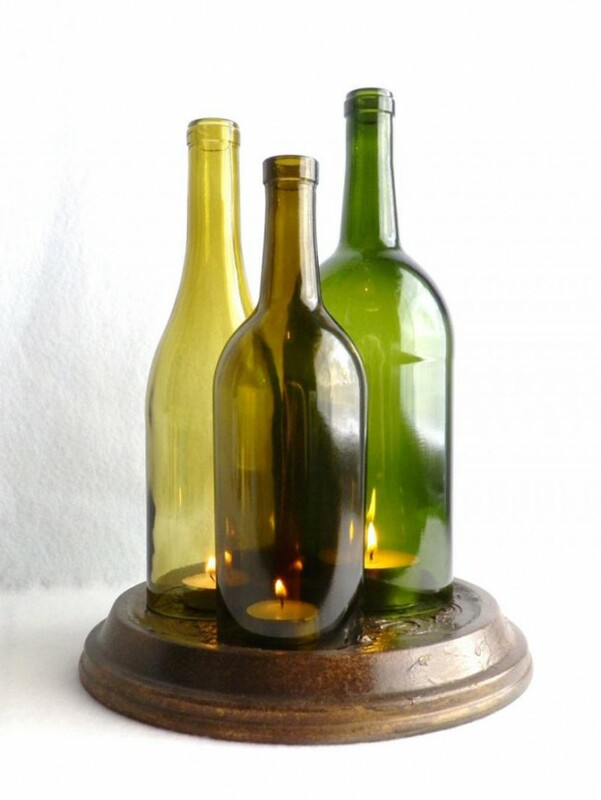 I’m sure we can do more than that and we can transform them in useful, decorative objects. 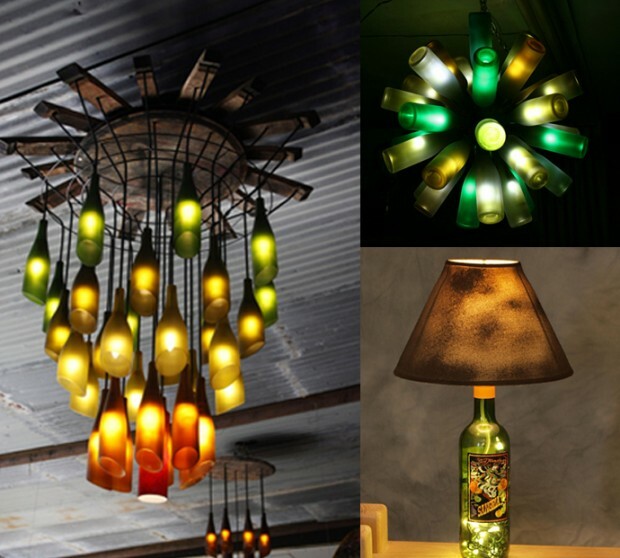 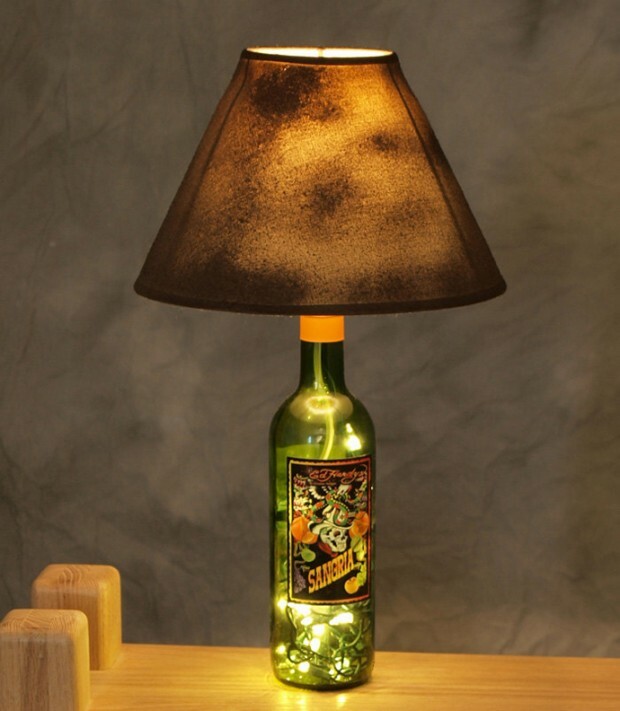 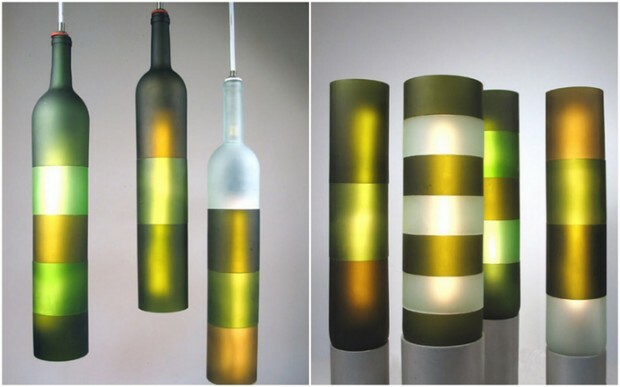 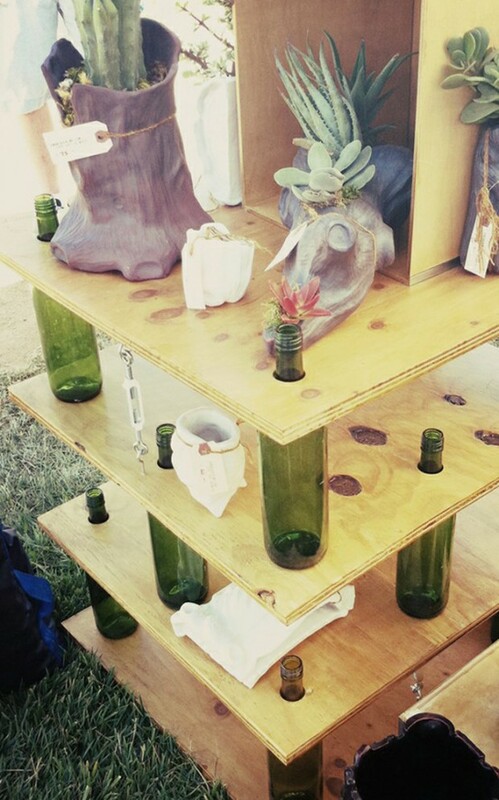 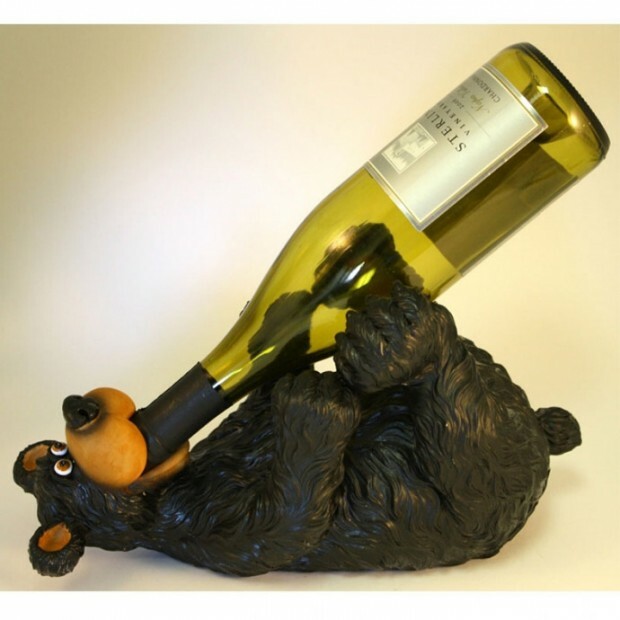 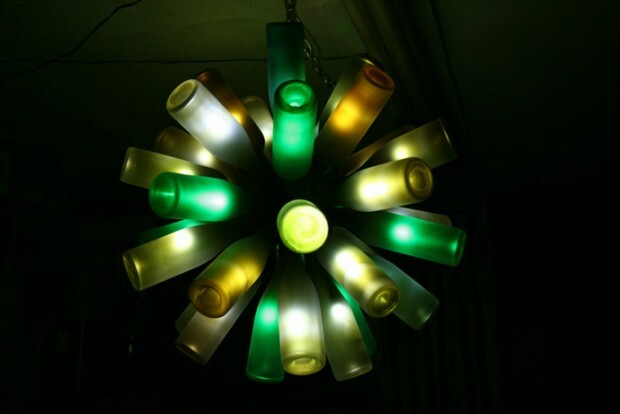 Creative recyclers have converted old bottles into different household objects and works of art. 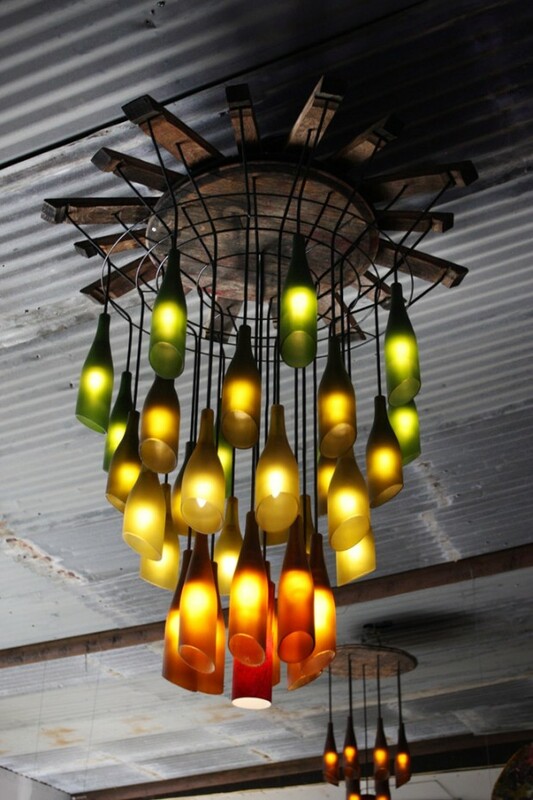 Some craftspeople slice the bottle’s neck into rings that become the components of wind chimes and mobiles. 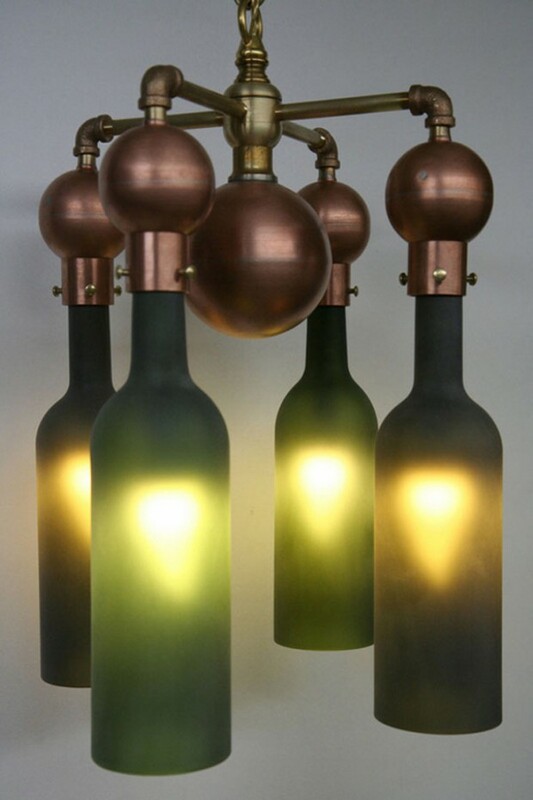 Some wire the bottles for electricity and obtain interesting lighting objects. 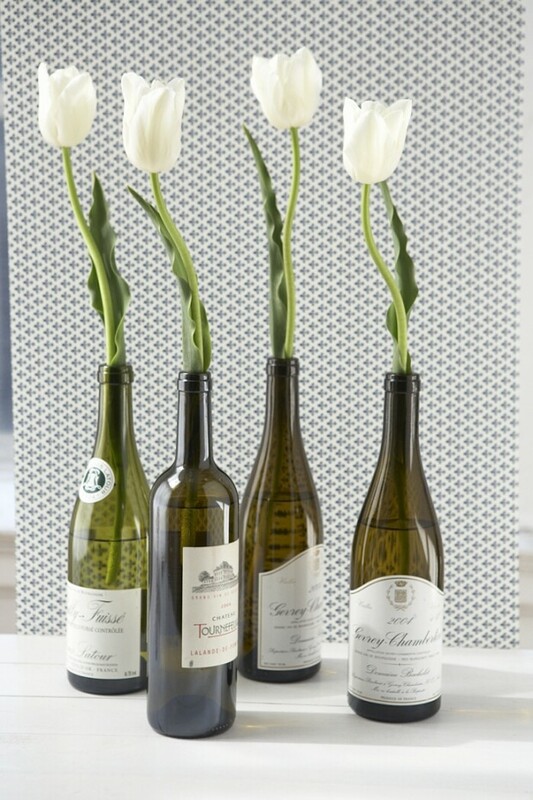 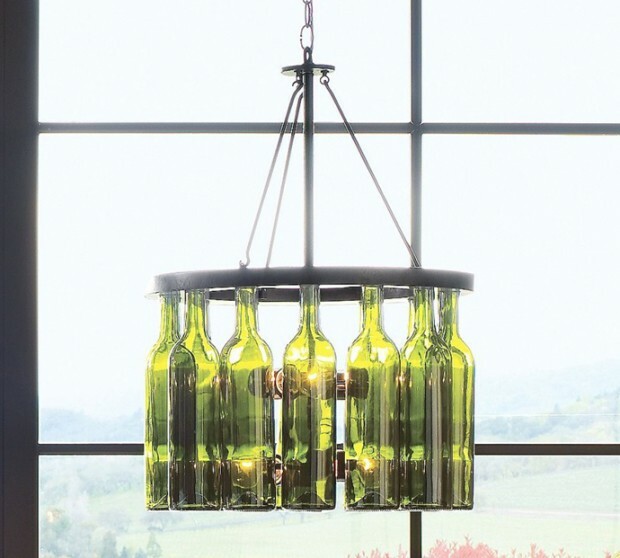 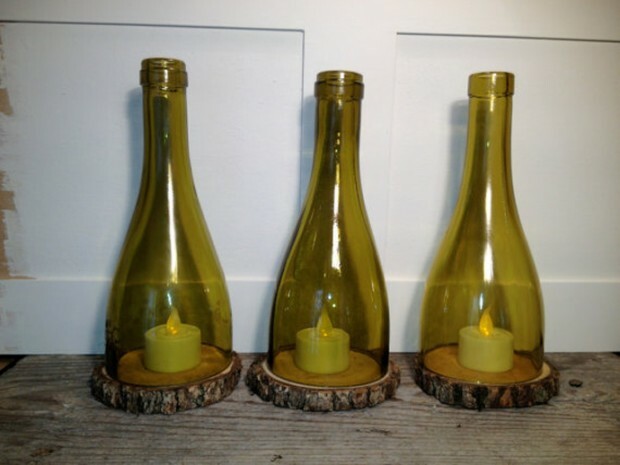 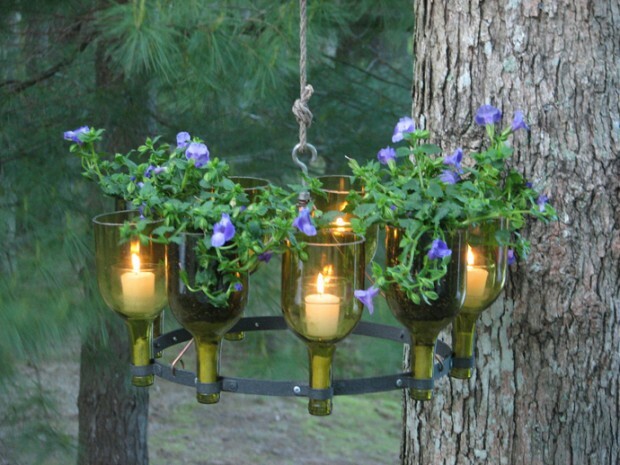 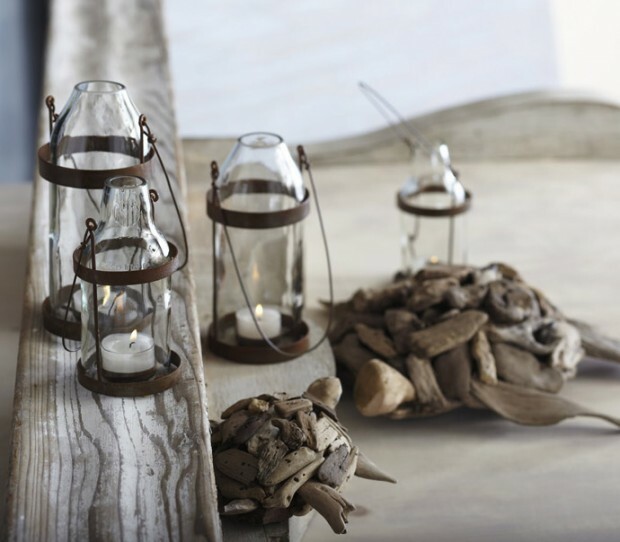 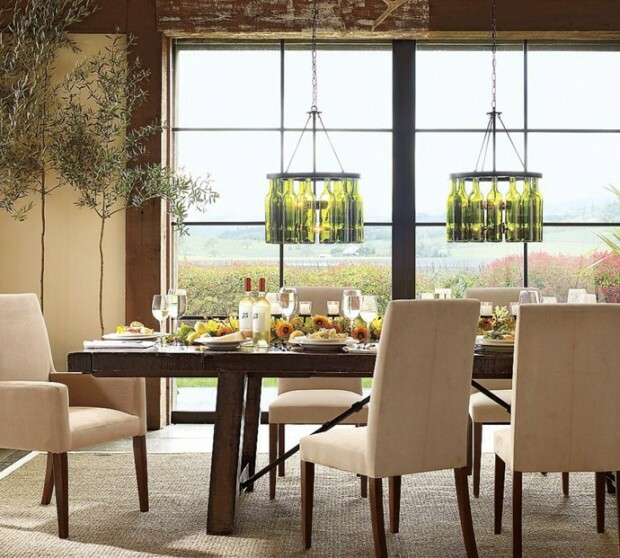 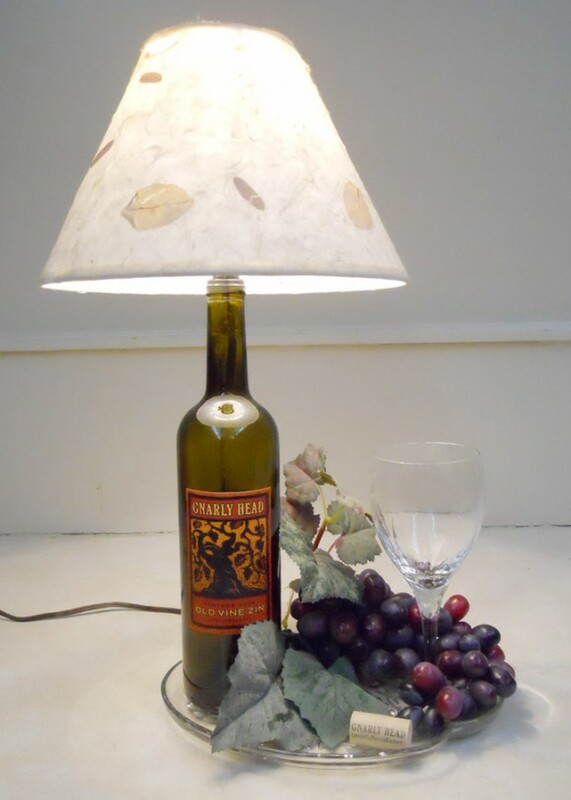 Here are some pieces of advice: make some angled cuts with a glass cutter and you’ll obtain a beautiful vase, take an old glass table top and add wine bottle punts underneath, or gather them in a bunch and make a wonderful chandelier! 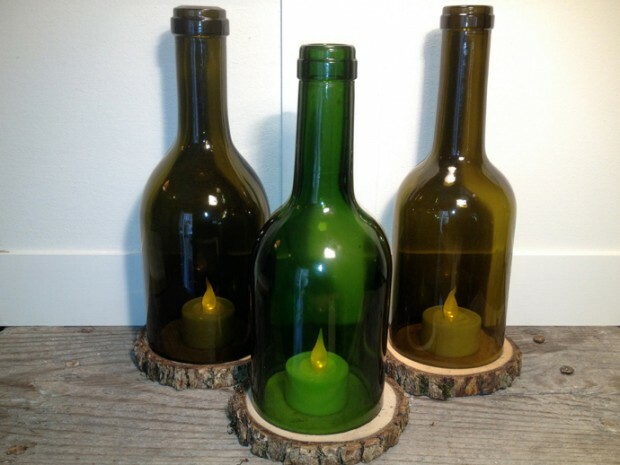 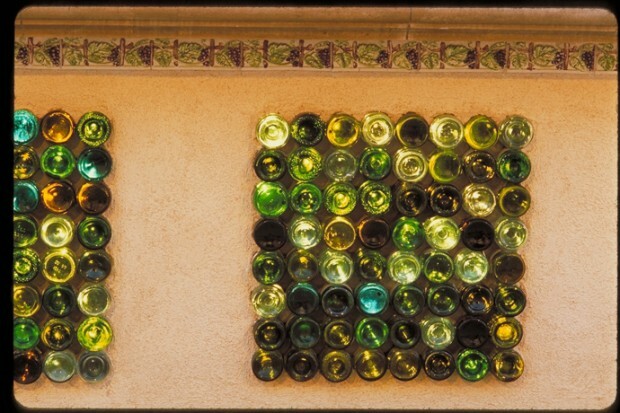 You’ll need a few tools for bottle crafts, including a tile cutter, stained-glass saw or diamond-bladed wet saw for cutting the glass and a power drill with a glass-cutting tip.